Only available for Co-living in October and November. A warm welcome awaits you at Perfect View Pool Villa. 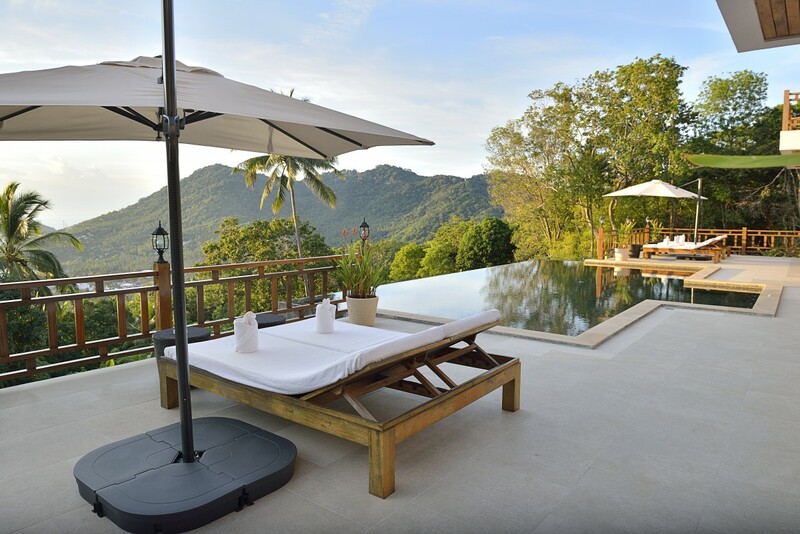 Make yourself at home and enjoy life on top of a small mountain in the most developed town of Koh Tao, Sairee. 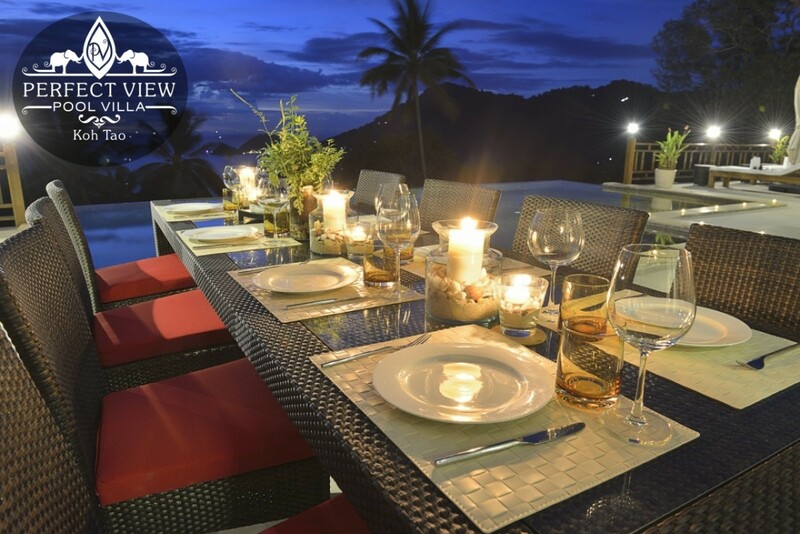 The villa delivers you an incredible 180 degree panoramic view of Koh Tao with its green palm trees and the open ocean. 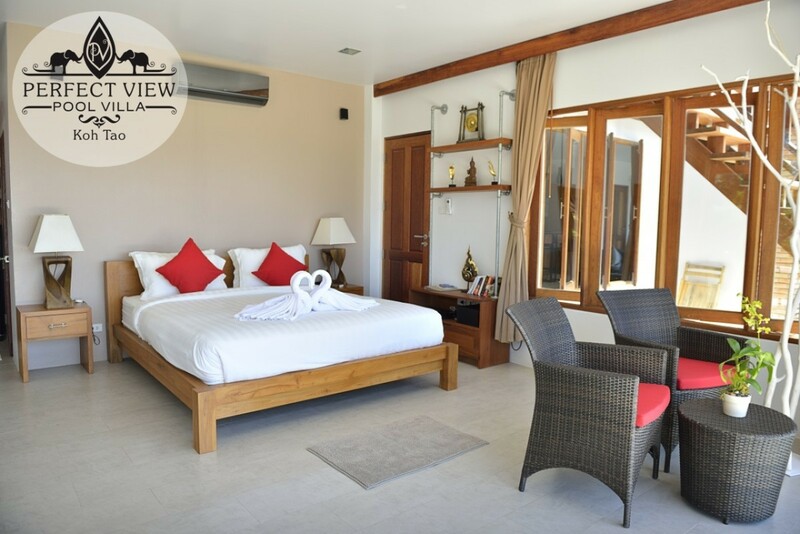 Perfect view villa is an accommodation with 4 identical en-suite bedrooms plus one extra downstair room. 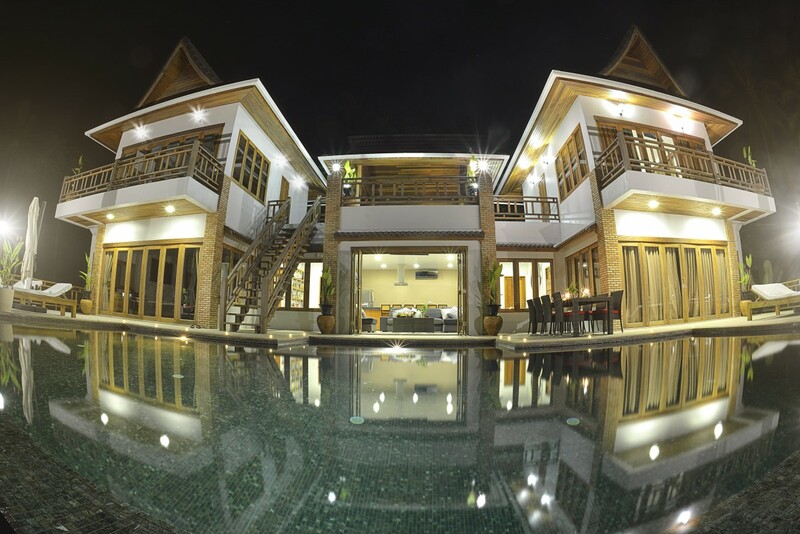 Rent the complete villa and enjoy the good life with the people you like. Sairee beach is 500 meters, the nearest food stores are on 500 meters, the popular Nangyuan Island is on 5 km and Mae Haad pier is als 500 meters away from Perfect View Villa. With the villa comes daily cleaning, 4 motorbikes and a private driver for one roundtrip per day. 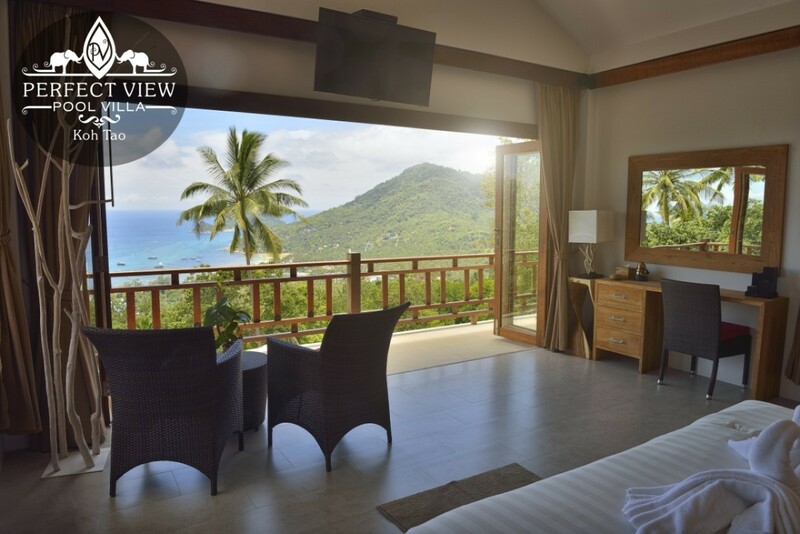 Check out Perfect View Pool Villa here. The price is 350.000 baht per month + utilities with longterm booking through TAOHUB.